I am seeing more and more people write about “hidden cities” itineraries lately. There is even a site called Skiplagged that will help you find them. I don’t think that enough is being said about the risk of using these. Things can very badly go wrong with these itineraries and if it happens even once, it is likely to cost you far more than you will ever potentially save. “But wait a minute,” you might say. “Weren’t you just telling us about co-terminals and how you can save with these?” There is a big difference and it’s very key. Using co-terminals is allowed (and even encouraged) under the fare rules. However, using hidden cities is a big no-no in both the Contract of Carriage and in the terms of every airline’s frequent flier program. “I have a brilliant plan,” you might think. “Why not just get off the plane in Miami and skip all of the rest? I can go for half price!” Smug in your ingenuity, you buy a $99 ticket to Alabama and go to the airport, only to find out when you arrive that your flight has been cancelled. “The pilot caught the flu, so we have to reroute you” says the friendly counter agent. “Great news, though, we have you on a much better itinerary. You’ll get there much earlier!” she says, practically beaming, and hands you your new boarding passes. That sinking feeling in the pit of your stomach is real when you realize that your beach dreams are being replaced with … whatever there is to do in Alabama. It probably doesn’t involve a beach. Thinking fast, you try to figure out a way to get back your original routing and salvage the trip. “I won’t get as many miles if I go this way,” you nervously say. 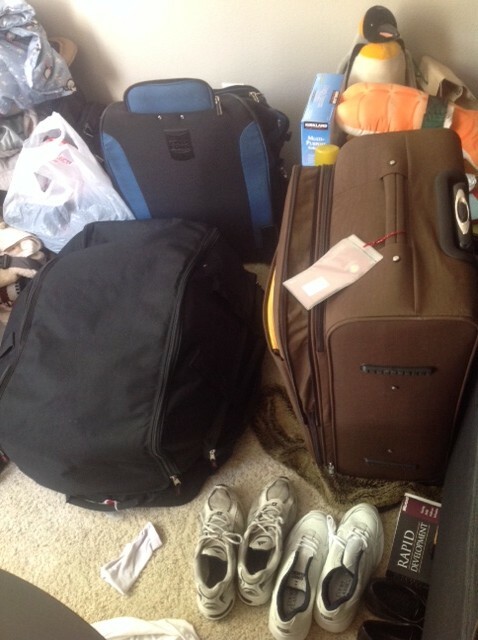 “I was really hoping to get enough for the big trip I have planned.” An assured smile and the reply of “No problem! Just write in to Aadvantage after your flight, send in your boarding passes and original itinerary, and ask for original routing credit. They’ll take care of you. 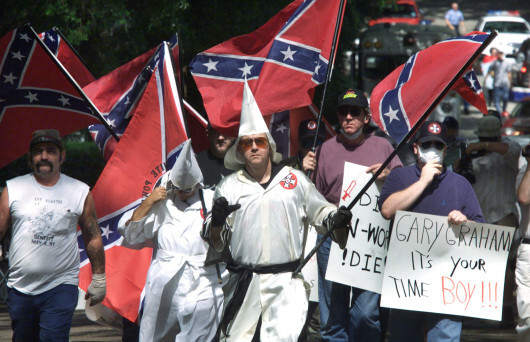 Enjoy your trip to Alabama!” says the agent with an air of finality, and you leave the counter defeated. Since you’re already at JFK, you decide to go to the beach at Coney Island instead. It’s cold and covered in trash. Shady teens are hanging out on the street corners, doing a really bad job of hiding the fact that they’re dealing drugs. You are left alone to ponder your bad life choices. OK, rewind. Suppose the above didn’t happen. Let’s say that your original itinerary worked. You totally got away with it. 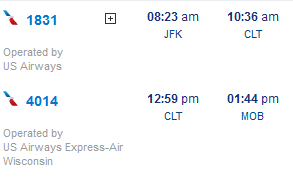 In fact, US Airways had a sudden last minute $99 fare sale from Fort Lauderdale to New York for the return, and you even got American Airlines Aadvantage miles. You showed off your tan in the office Monday morning, gloating about how you managed to score a peak season flight to a subtropical beach paradise for less than the cost of a limo to the airport. Your Aadvantage account has been closed and all miles forfeited. While you are welcome on board American Airlines, you are no longer eligible to participate in the Aadvantage program. That mileage balance you spent years accruing and were saving for a Christmas trip to Hawaii? It’s gone. You begin to think that maybe the $99 savings wasn’t worth it. 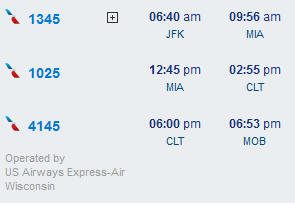 What’s worse, you just realized that you could have flown to Fort Lauderdale, only a short train ride away from Miami, for the same price as your ill-conceived hidden cities itinerary. As you can see, there is a lot that can go wrong with hidden cities itineraries. So much can go wrong, in fact, that booking them is almost never a good idea. And this doesn’t even get into the numerous other problems, such as only being able to take carry-on bags and being good for one-way fares only. Through the use of co-terminals and alternate airports, you can often find savings that are equal or better than hidden cities itineraries. Skip hidden cities itineraries. They are a minefield on the best of days, and worst case scenarios can and do happen. If I haven’t said it enough before, I will say it again: it can be really tough to find award seats priced at the “low” or “saver” levels. This is particularly true if you’re traveling to a popular destination during a popular time on a popular day. There is always plenty of availability to Fairbanks or Minneapolis in the winter, but not so much to Hawaii. Airlines don’t exactly make it easy to search for award space either. Consider Delta. The only flexibility they offer in award searches is by date, and they will often only display their own flights in award searches (rather than partner award space that could be available at a lower mileage redemption level). This means that if you’re searching for award space in cities with co-terminals, you could miss out on a whole host of options. What is a co-terminal, you may ask? In some cities, there are multiple airports and these are all considered the same airport for the purpose of calculating a fare or award (e.g. they are not considered an “open jaw” which may result in a higher fare or not be allowed under award rules). This is really important when it comes to Delta awards (along with certain other airlines such as Korean Airlines) which require a roundtrip purchase. So, if you pick your co-terminals correctly, you can fly into one airport and out of another and it’s considered a roundtrip fare to the same cities. As you can see, it’s a couple of awful itineraries that take pretty much all day and cost 32,500 miles, which is considerably more than the 25,000 mile “saver” award level. The Delta Web site only searched for the exact cities I input. This was, I’m sure, for my convenience. 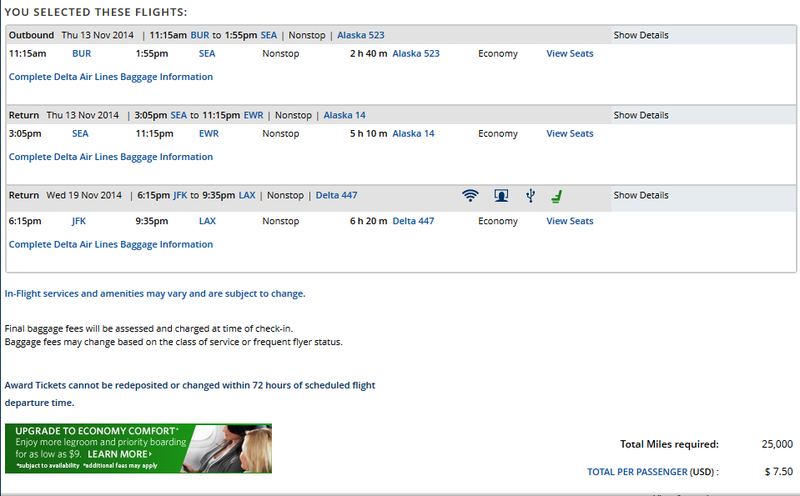 For this particular itinerary, there were many, many more options available on the Alaska Airlines Web site than the ones I selected here. However, you’ll notice a difference. 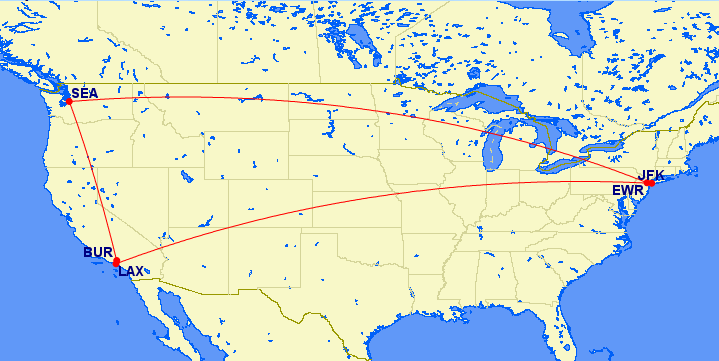 The outbound flight is an Alaska Airlines flight with a conveniently scheduled connection through Seattle, and it is exactly from Burbank to Newark. 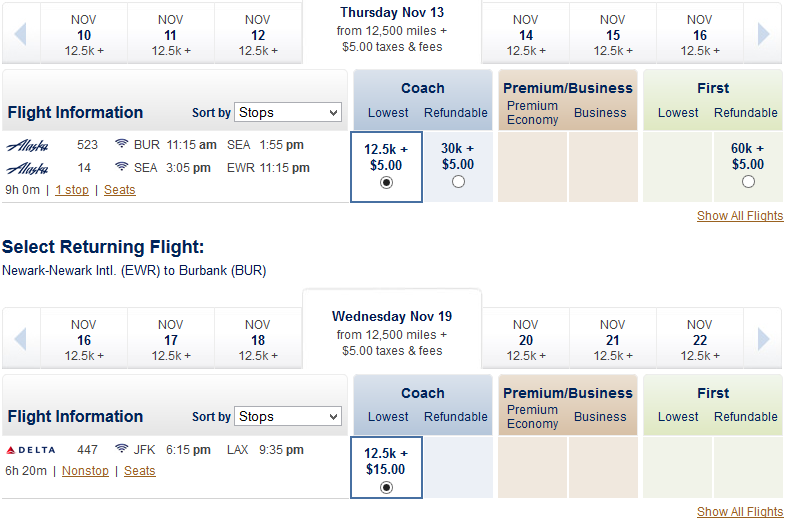 However, for the return flight, there isn’t any availability from Newark to Burbank. Instead, I need to use the co-terminals of JFK Airport in New York and LAX Airport in Los Angeles. Neither of these would be my preferred airports in these particular cities, but because the flight is a non-stop flight, it more than makes up for the extra time spent on the ground. Now it’s only 25,000 miles! Co-terminals are really useful for finding award space, but they also often work for paid fares. Suppose there is a really great sale fare, but it’s sold out for the dates you’re checking. Before you give up and pay a higher fare, check whether a co-terminal is available. 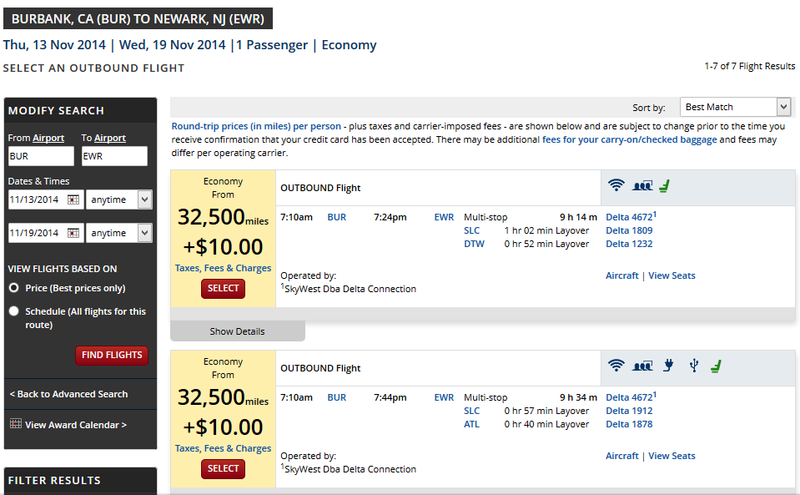 If a fare is sold out to New York JFK, try Newark, LaGuardia, Islip, New Haven or White Plains. You might find that there is still availability to smaller and less popular airports. Co-terminals also exist outside of the United States. For example, Heathrow and Gatwick airports in London and Narita and Haneda airports in Tokyo are considered co-terminals by most airlines. If there is more than one airport in the city where you are visiting, it’s worth checking whether a nearby airport might qualify as a co-terminal and including it in your searches. Is there ever a time you shouldn’t use a co-terminal? Remember that there can be considerable distance between the primary airport in a given city and its co-terminals, and public transportation may not be readily available. For example, even though Ontario and Burbank airports are co-terminals, they are 52 miles apart! In LA traffic, this can be a 3 hour journey. Look at a map and figure out ground transportation before using an unfamiliar co-terminal, or you could be in for an unpleasant surprise. It’s really easy to lose sight of the human element in today’s air travel experience. It’s generally rushed and miserable. With ludicrous fees nipping at your heels everywhere you step among a minefield of “gotcha” clauses in the Contract of Carriage, it’s no surprise that people are in a sour mood as soon as they check in. And this is before experiencing the TSA circus that is all part of the modern security theatre experience. So, by the time that you get on the plane, I can appreciate that you’re really upset to be delayed even further by someone in front of you, struggling to fit their overstuffed carry-on bag into the undersized bin on the plane. “That guy,” you think, while possibly snapping a picture and making a snarky Twitter post with a hashtag of #CarryOnShame. This is the latest mean-spirited trend in the already angry world of travel. Several times over the past four years, “that guy” could have been me. Until very recently, I was living abroad. Last year, I lived in 3 different countries around the world (China, The Netherlands and Costa Rica) and each time, I brought my possessions with me on planes. Before that, when living in Beijing, I’d only get to come home 2-3 times per year. I’d make massive Costco runs, bringing back whatever small comforts of home I could carry on and fit in my checked bag and carrying on whatever I could. Most recently, I took another flight, again using my full baggage allowance. After a long time away, I am starting a new life back in my home country, which has become a mean-spirited place that I sometimes barely recognize anymore. Nearly everything I own is in these bags. Yes, I’m that guy. The guy with a carry-on bag that I had to sit on in order to fit everything inside. The guy who is using 52 pounds of his 50 pound baggage allowance. The guy who stretches the definition of “personal item” into “whatever I can get away with.” It’s really out of necessity. Airlines do not have reasonable prices for extra or checked bags on international flights so let me make things completely clear: in practice, the choice I have faced each time has been either to be “that guy” or to abandon my stuff and start over. Start over even more than I already am, in a country where I don’t know where or whether I can replace my stuff. Sure, I chose to move, you might say. This is true, but I don’t choose to make things any more difficult. The Calvinist notion that people should have to struggle because… well, because… isn’t one I buy into. The next time you see a person struggling with an oversized carry-on, trying to fit it into the overhead bin, have a little empathy. Consider stopping to help instead of pushing past or taking pictures to post on Twitter with snarky hashtags. Sometimes life just doesn’t easily fit into a small carry-on bag. A few months ago, US Bank ran a 40,000 mile signup bonus for the Avianca LifeMiles visa card. The Avianca program is one of the most generous in the StarAlliance for booking partner awards, if its limitations are acceptable to you. These limitations are substantial. The program doesn’t allow stopovers, you can only book what is available online even if other award space is available elsewhere, and the call centers are in El Salvador and Colombia (it’s best if you speak Spanish). However, there are some real advantages; award rates are reasonable and there are no close-in booking fees. I pulled the trigger and signed up. 40,000 miles is double the usual bonus offered for this card. As advertised, the deal was for 20,000 miles after the first purchase, and 20,000 miles after spending more than $3,000 within the first 120 days. Well, that seemed easy enough to achieve, and it was. I put the card at the top of my wallet and made the $3,000 minimum spend in the first month. A month later, 20,000 miles showed up in my Avianca account. Wait a minute. Only 20,000 miles? I emailed US Bank, who explained that the bonus miles are delivered separately and I would receive them within 6-8 weeks. I was definitely not happy with the delay; frequent flier programs devalue very rapidly (often without prior notice) so 20,000 miles today could be worth the same as 10,000 miles tomorrow. However, I was also traveling on a complicated round-the-world itinerary and didn’t really have time to argue across multiple time zones so I just gritted my teeth and hoped that a devaluation wouldn’t happen in the interim. 8 weeks later, there were still no bonus miles! I emailed US Bank again. What I found out (and which their Twitter team confirmed) is shocking. The 8 week clock starts after the first 120 days! Yes, it takes a full six months after completing the minimum spend to receive your bonus miles. And you will not receive the additional 20,000 miles if you close the card before then! This is something that I have never seen before with credit card bonus miles, and it’s a very disturbing trend. A lot can happen in frequent flier programs in 6 months. I have not only missed the entire summer travel season (and I was counting on using this promotion for a flight this summer), but I would not be surprised to see a massive devaluation strike before my bonus miles are deposited. Avianca has devalued their LifeMiles program overnight in the past, and I expect they may do so in the future amid across-the-board devaluations in nearly all other frequent flier programs this year. This definitely changes the game with credit card miles and points. For most people, collecting airline miles and points is a bad way to earn free flights. Hotel and other loyalty programs (such as American Express Membership Rewards) are starting to look a lot better. I just turned an overbooked $99 one-way flight into an extra day in Seattle (which I actually wanted), $400 in Delta Dollars (which spend like cash on the Delta Web site), and a hotel voucher for the night. Not a bad outcome for a delay that I wanted anyway! I did this by getting bumped off of a flight, and you can too. 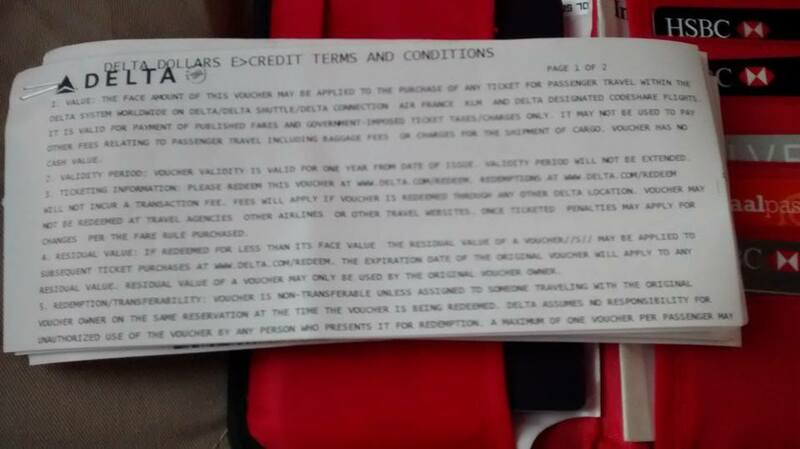 I received a $400 Delta voucher! Most airlines (with the exception of JetBlue) routinely oversell flights. This means that they sell more tickets than there are seats on the plane. It makes sense for the airlines to do this to soak up inventory that would otherwise go unsold. On almost every flight, there will be a few seats that go out empty because people showed up late or misconnected. Most of the time, this works out just fine for the airlines. Flights go out full (or nearly full), and the airlines pocket the change fees. However, as those change fees have increased–to the point where tickets are now often completely nonrefundable–people have gotten a lot better at making their flights. This has made it a really delicate calculation for the airlines and sometimes it doesn’t work out in their favor. My flight yesterday was an ideal candidate for scoring a bump. It is the last flight of the day from Seattle to Los Angeles, and it’s also a feeder flight for Virgin Australia’s service to Sydney. These connecting passengers cannot miss their flight without causing a major disruption to their itineraries. Making matters worse, Delta has begun funneling most passengers onto its own flights instead of routing them onto Alaska Airlines, and they just launched a massive expansion in Seattle two weeks ago without adding any additional capacity on the route. Flights (especially connecting flights) are suddenly packed. At the same time, the relationship with Alaska Airlines has deteriorated to the point where the two airlines are no longer cooperating on the route through codeshare, so Delta doesn’t have anywhere for the overflow. And I was booked only from Seattle to LAX, with all of the flexibility in the world. The US Department of Transportation (equivalent rules exist in other countries) highly frowns on the practice of overbooking when it results in what is called an “involuntary denied boarding” (or “IDB” in industry parlance). There are some really stiff penalties, requiring cash compensation of up to 400% of the ticket price. Additionally, if airlines deny you a seat that you paid for, they have to buy you another seat on the next available flight (whether they operate it or not). If you’re stuck overnight, they have to pay for all of your hotels and if you’re delayed for over two hours, they have to pay for your meals. All of this also gets reported to the Department of Transportation and ends up in published statistics that invariably end up as negative press. As you might imagine, airlines do whatever they can to avoid involuntarily denying boarding to passengers (although if they ultimately do have to involuntarily bump someone, there is a detailed pecking order through which they decide whom to bump). This is why airlines will sometimes ask for volunteers who are willing to take another flight in exchange for compensation. The compensation is whatever you can negotiate, although it’s typically a fixed offer and there tends to be a lot of competition for volunteering. United typically starts the bidding at $200 in vouchers, US Airways and American start the bidding at $300, and Delta usually starts at $400. However, Delta will only put you on another Delta flight, whereas other airlines (except Southwest) will often buy you a ticket on the next available flight regardless of operating airline. This means you’re usually facing a longer delay with Delta. It pays to pay attention. By the time that gate staff makes an announcement in the gate area, it’s probably too late to volunteer your seat. Many airlines (such as Delta) ask for volunteers during the online check-in process, so it pays to check in as early as possible – you can usually check in 24 hours early. Also pay attention to the seat map. If there are no seats available for selection unless you pay extra, don’t pay for a seat. You’re likely to get a free upgrade to a preferred seat when you check in (sometimes even first class), and you may have the opportunity to get bumped as well. Airlines call this an “operational upgrade,” or “op-up” for short. This is because it costs them less to give you a free upgrade than it does to bump you off the flight. How do you know whether you might have a chance at getting bumped? There are a few clues. If you’re asked online to volunteer your seat, you know the flight is definitely overbooked and there is a very high chance of getting bumped. Airlines will offer the lowest possible compensation you might accept online, but you can generally bid a higher amount. Just keep in mind that higher bids are lower in priority, and airlines usually don’t need very many volunteers (sometimes they only need one). If you accept the lowest offer at the earliest time with the least complicated itinerary, you will have the highest chance of being bumped. Note that you won’t always be asked online. If you check in and your boarding pass doesn’t have a seat number but instead says something like “assigned at gate,” you know that the flight is overbooked and you’ll probably have a chance to get bumped. If you haven’t volunteered your seat online, go to the gate early (the gate typically opens an hour before the flight leaves) and be the first in line to talk to the agent. Ask politely whether the flight is oversold, and if it is, ask whether they are looking for volunteers. If they are taking volunteers, they’ll take your boarding pass. Sit down near the podium (in a place where they can easily see you) and pay attention. Everyone else will board before you. If you do end up getting on the flight, you will be the last person on. Don’t worry, the gate agent hasn’t forgotten about you (and if they have, they will need to give you compensation anyway). So, do not bother the gate agents, they are very busy getting the flight out on time, and if you hassle them they might just put you on board to get rid of you (and you’ll lose your chance at being bumped for compensation). Wait in the gate area and stay visible until they call you to the podium. What will you receive if you’re voluntarily bumped? It’s whatever compensation you can negotiate, or if you didn’t negotiate up front, whatever you can negotiate with no leverage (being nice and polite to the gate agent goes a long way here). You’ll usually get a hotel voucher for the night if you’re not in your home city and you’re stuck overnight, an airline voucher that is good for up to $800 (although usually for much less), and sometimes meal vouchers depending upon the length of the delay. You should be aiming to get the maximum amount possible with the minimum length of delay (unless, of course, you want the delay), but remember you have competition. If you’re too greedy the airline will accept another volunteer’s less demanding offer! Meet Seat31B This Summer in New York and Las Vegas! Even though Seat 31B has been online for less than a year, I’m really happy with the overwhelmingly positive and supportive feedback that I have gotten so far. Interestingly enough, even though travel hacking has been a niche area for some time (and there are a number of blogs on the subject), this is an area that has been more popular with frequent fliers than hackers. Hackers? Yes, for many years, I have been involved in the hacker scene and I am a regular columnist for 2600: The Hacker Quarterly (I write the Telecom Informer column). These days hacking isn’t about committing crimes (it never has been for me), and is a lot more about learning how things work and building amazing stuff. 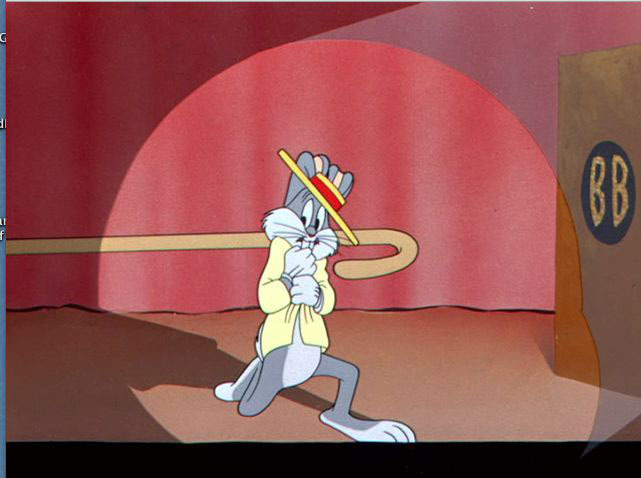 So, you can probably guess how excited I am to help connect the hacker world to the travel hacking scene this summer, where I will be speaking at HOPE X and bSides Las Vegas. If you’re into travel hacking and you’d like to meet the world’s top experts at hacking computer systems and phones, you’ll definitely want to come to one of these conferences. I’ll cover some of the more common travel hacking techniques and I expect there will be an extensive Q&A where I’ll have the opportunity to cover a variety of subjects. It is sure to be a lively discussion! Don’t come to either conference just for my talks. Also note that I’m paying my own travel expenses for both and they aren’t paying me anything, so you can rest assured that I’m not promoting these conferences for personal gain. Do, however, come if you’d like to broaden your knowledge about hacking things that you may never have considered were possible to hack! Even if you don’t know anything about being a hacker, all it takes is being curious about learning how things work and interested in finding out what happens when you try something out of the ordinary. You’re sure to learn at least one new skill, if my experience is any guide.Without you sharing these stories and telling your friends, Seat 31B would never have grown so fast. See you this summer, and thanks so much for your support! Is It Safe To Book A Mistake Fare? Every time there is a widely publicized and unusually good mistake fare, I end up answering the same question: “Sure, you got a great deal, but will the airline honor it?” A follow-on question is often something like “When I get to the airport, will I be able to check in for my flight?” The answer is usually yes, but there are some cases where the answer is no. Here are 5 simple rules to help you avoid getting tripped up along the way. Sir, your reservation is not ticketed on this itinerary. You will need to purchase a ticket to travel today. So what happened? Occasionally there can be a glitch in booking where you make a reservation but a ticket is never actually issued. You need both a reservation and a ticket number to travel, and without both, you’re not going anywhere. Do you have any recourse? Only if you were charged for the flight. 99% of the time, when you go back to review your credit card statement, you were never actually charged and will be stuck either buying a very expensive last-minute ticket or abandoning your itinerary. Rule #2: Don’t Call The Airline. While a deal is active is not the time to contact the airline. If they find out that you got a good deal, they will use every trick in the book to void your contract and cancel the tickets. Only after a ticket number is issued and confirmed, and enough time has passed to thwart shenanigans (72 hours to be safe), should you contact the airline. Rule #3: $0 fares can be voided. If the airline mistakenly gave you a completely free ticket (charging only government imposed taxes), there is some legal precedent that they can get out of the contract by refunding everything you were charged. This is because the airline never actually took your money in exchange for providing a service (they only collected taxes on behalf of the government), so they never actually entered a contract with you. This theory hasn’t been tested lately because airlines decided that the revenue lost from a few seats mistakenly given away wasn’t worth going to court. However, do keep in mind that they could probably go to court and win. One attorney suggested that if there is any airline-imposed charge in the booking (such as a fuel surcharge or even 1 cent in fare), the airline would have a much more difficult legal case to make. Of course, I am not a lawyer and this is not legal advice. Rule #4: Frequent flier tickets are a whole different ball game. An airline makes a mistake and offers a routing to Aruba via Amsterdam with a free stopover in Europe, but charges you only the mileage for a single-leg journey to the Caribbean. You can’t believe your luck, and the airline can’t either. A few days before you are due to travel, after having already prepaid for hotels in Amsterdam, you are contacted by the airline. They deliver an ultimatum: either cancel the whole journey (losing all of the money you have already prepaid) or alternatively, they’ll essentially wipe out your whole frequent flier account by re-pricing the trip as three one-way trips: one from North America to Europe, another from Europe to the Caribbean, and finally from the Caribbean to North America. “You’re lucky we can’t prove that you did this on purpose,” they say, “or we’d close your frequent flier account.” Your biggest question is whether they can really do this, and unfortunately, the answer is yes, they can. Airlines are allowed to do pretty much whatever they want when it comes to administering their frequent flier programs. They have very wide latitude, so tread carefully when a frequent flier redemption seems too good to be true. Rule #5: Contracts Rule. By taking your money and issuing a ticket number, an airline has entered a contract with you. This isn’t true with frequent flier or other $0 fare tickets, but if the fare is 1 cent or more, the contract is in place. You can’t get out of a contract with an airline just because you wish you hadn’t entered it, and the same goes for the airline. So, don’t be afraid to assert your rights if an airline contacts you and tries to get out of the contract. Airlines know this, and also would generally prefer not to alert the general public to mistake fares. So, they usually just try to sweep mistake fares under the rug and allow anyone who has already purchased tickets to fly with no trouble. Mistake fares can offer some incredible values in travel, and take you to some places that you might not consider visiting otherwise. I enjoyed an incredible visit to Ecuador on Aeromexico, which moved to the top of my list when roundtrip fares (widely believed to be mistake fares) dropped below $400. I was even able to upgrade one segment to first class for $40, I squeezed in a side trip to Mexico City, and I received Delta SkyMiles for the entire itinerary! As long as you follow the 5 simple rules above, you should have no problem flying on mistake fares you find! 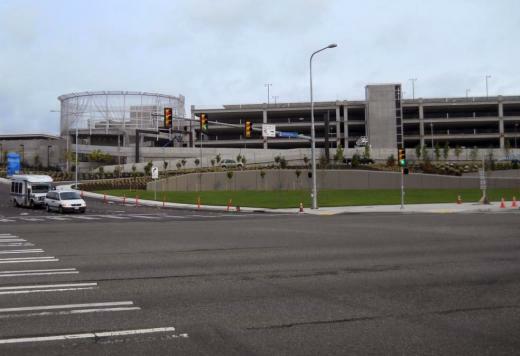 Free Short-Term Parking At Phoenix and Sea Tac Airports! One of the most irritating things about picking people up at the airport is the short-term parking gouge. My family owns homes in both the Seattle and Phoenix areas, and the problem is the same at both airports: the airport drive is hopelessly congested, eagle-eyed officers are poised and ready to write you a ticket for “waiting,” and short-term parking charges are ridiculous. In the past, more often than not, I have ended up in the short-term parking garage, paying $4 or more for a 20 minute entry. No more. In both cities, there is a consolidated rental car facility. This facility offers a free shuttle to the airport, and at both facilities, you can park free for up to 2 hours. While the free parking is intended for people who need to do business in the rental car center, anyone can use it and anyone can ride the shuttles. This is a great place to pick up your friends (who can ride the free shuttle to the rental car facility in less time than it will take for you to battle traffic), and it’s also great if you need to visit the airport for some reason (for example, to pick up a delayed bag). At both facilities, you will not want to drive into the car return area. Follow the signs to visitor parking instead. At no charge, you can park for up to 2 hours (follow all airport signage in the event this has changed since the date of publication) and either wait for your friends or take the bus to the airport. I have found that using the facility saves time at Sea-Tac, although it usually takes a little extra time in Phoenix because the airport is both larger and farther away. Enjoy the savings, and I’ll see you at the airport!